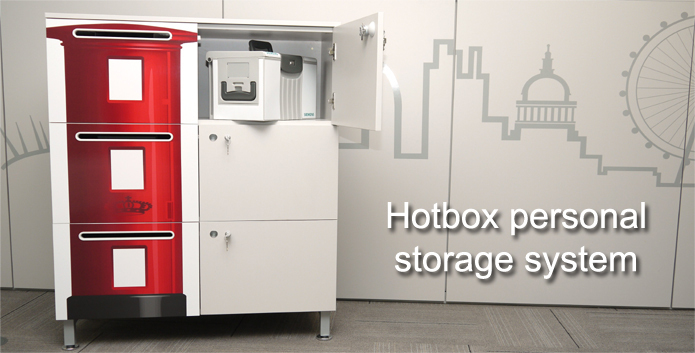 Hotbox™ - the only nomadic workbox specifically designed for the flexible workplace. Hotbox™ lets users transport their work and personal items safely and easily around the workplace, from a personal locker to a workstation, meeting location or home. Hotbox™ is designed to work with all existing storage, workstation and screen systems. Hotbox™ makes your workforce as flexible as your workplace.